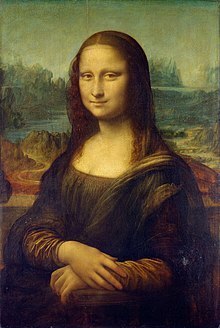 The Mona Lisa, bi Leonardo da Vinci, is ane o the maist recognizable pentings in the warld. Pentin is the practice o applyin pent, pigment, colour or ither medium tae a surface (support base). This page wis last eeditit on 28 Mairch 2015, at 14:42.